Screw Distributors is a roofing screw supplier. We have years of experience with fasteners. This means that we can properly inform our customers on their usage and applications. Below, we have included the information necessary for the usage of the roof screws that we supply. There are a few different types of roofing screws that are available. Some are stainless steel screws. Or, they can be screws manufactured using other materials. These are best suited for use with corrugated iron roofs. They are well suited to this task, given their durability. 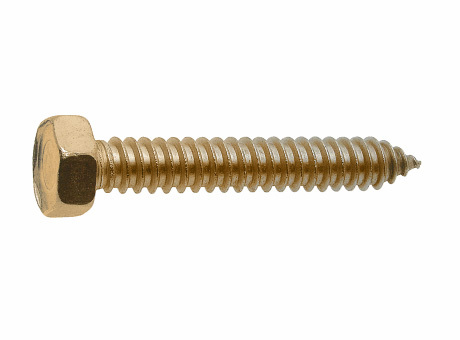 Screw Distributors are able to supply a few different types of roof screws. These roofing screws come with a coating of zinc. Zinc is a very useful material in fasteners, especially within outdoor applications. They offer both abrasive and corrosion resistance. Zinc roofing screws excel at this task. They are able to withstand much punishment and can resist atmospheric degradation. Stainless steel screws also offer similar benefits to those with zinc coatings. They offer corrosion resistance, durability and low maintenance, as well as superior strength. This makes stainless steel screws a viable option for their intended purpose. As an added benefit, stainless steel is also 100% recyclable. There is a specific process when it comes to installing roofing screws correctly. Ensure that the colour is correct, as this will help in matching the screws to the colour scheme of the building. You should ensure you are using the correct fastener, stainless steel screws included. To do so, check for the special built-in washer in the roofing screws. These allow tightening of the screws at the correct compression against the metal. In doing so, the washer will be able to properly seal the hole and offer protection against the elements. Place the appropriate drill bit for the size of the roofing screw into the drill. Then, ensure the drill’s turning direction is set to run clockwise. Move the metal or corrugated roofing to the required location. Then, insert the head of the roofing screws into the drill bit. Gold the drill such that the screw sits perpendicular to the surface it must penetrate. Drive the screw through the metal and into the wood. Keep doing so until the washer on the screw is well seated in the metal and has created a satisfactory seal. This applies for stainless steel screws and otherwise. Once done, inspect the head of the roof screws. The seat on the washer should be slightly visible on all sides of the screw. It should not appear squished or forced outwards from under the washer. If the seat is not visible on the roofing screws, tighten the screw until it is. By following the steps, you can complete your project to an excellent standard. This process remains the same, whether you’re using zinc or stainless-steel screws. Of course, before beginning any installation, you should follow any and all safety guidelines. Wear safety glasses, and clean up any metal shavings upon completion. This will go a long way towards minimising the risk of injury.